Mist.io provides a unified interface for infrastructure management, monitoring and automation. It emits actionable alerts so users can address operational issues from anywhere, using any web device. It is a freemium service with an open source software component that aims to become the de facto standard on multi-cloud management and a broker of cloud computing services. 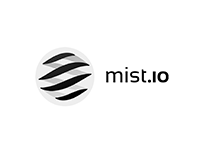 Mist.io’s goal is to democratize the cloud by making it more accessible and reducing vendor lock-in.